Well, if the recent 60’s weren’t enough, today we hit the low 70’s, in February…Crazy! There was no way that I was not going to find a way to get out and enjoy this. My choice today was Stone Mountain State Park. Stone Mountain State Park is one of my favorite places to hike, especially during the week. The location is very close to the triad where I live. 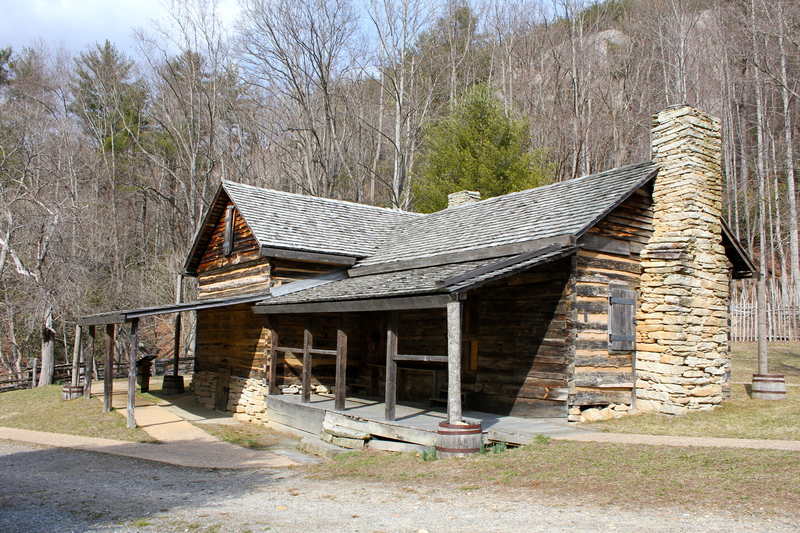 The park sits just at the edge of the Blue Ridge escarpment. 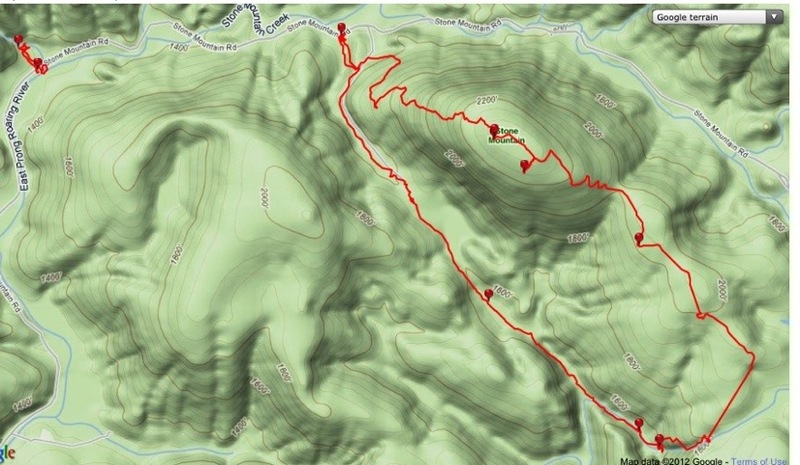 The elevation at the summit is only 2305, the temperatures here while a a tad cooler than the triad, tend to be similar to that of lower elevations, which makes it a prime hiking spot in the winter. This park was one of the original places that I began hiking so it holds a special place with me. I can not think of another hike that offers more variety in it! 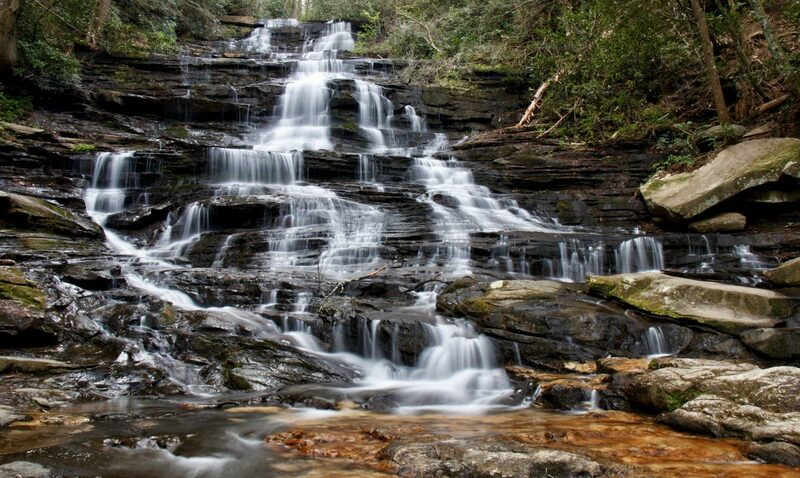 This park has waterfalls, 4 named ones, Stone Mountain Falls, Widow Creek Falls, Middle Falls, and Lower Falls. I would say that only Stone Mountain Falls and Widow Creek Falls are the must see ones. 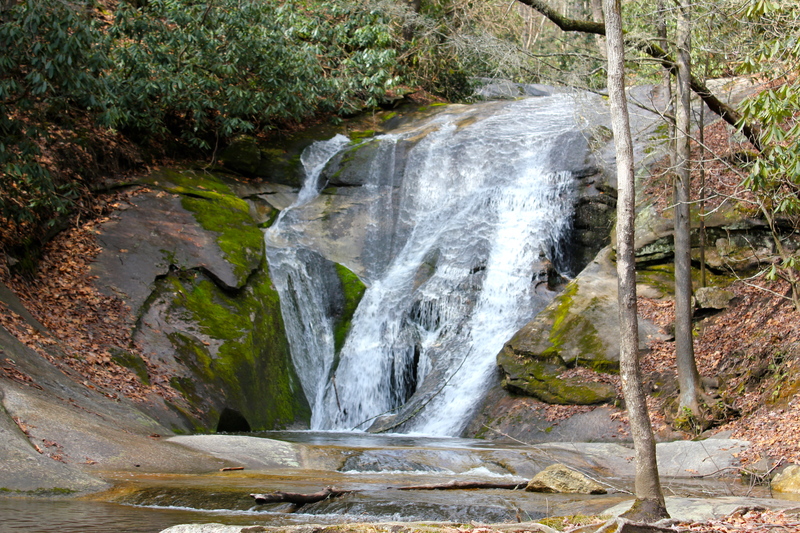 Stone Mountain Falls lies on the loop trail, while Widows Creek Falls is located deeper into the park with its on trail. My trip here usually begins with the drive to the back side of the park to see Widows Creek Falls. It is only a short distance from the road, and a gorgeous 25 footer. It is on a small creek and dry weather, especially in summer can almost dry this up. The walk here is short, but the best shots require a creek crossing, which can be tricky. The bedrock up here when wet, can be as slippery as ice. Be careful. 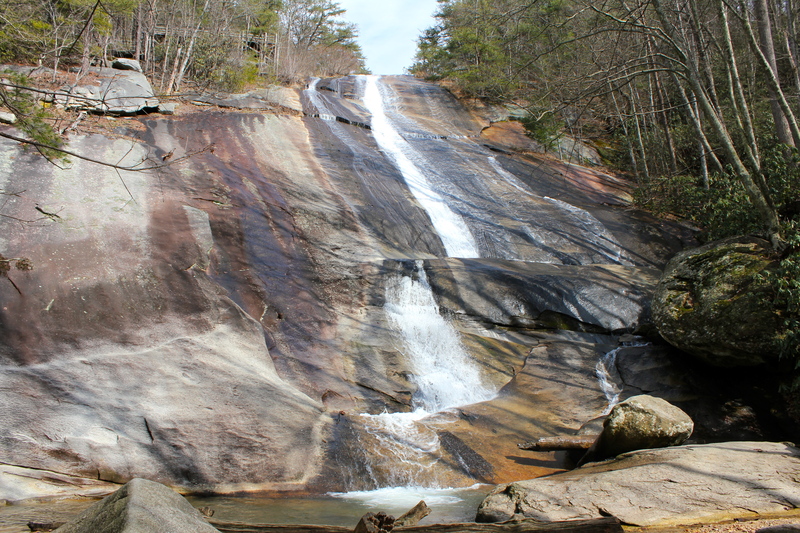 The other two waterfalls are further downstream from Stone Mountain Falls, and really are hardly worth mentioning. 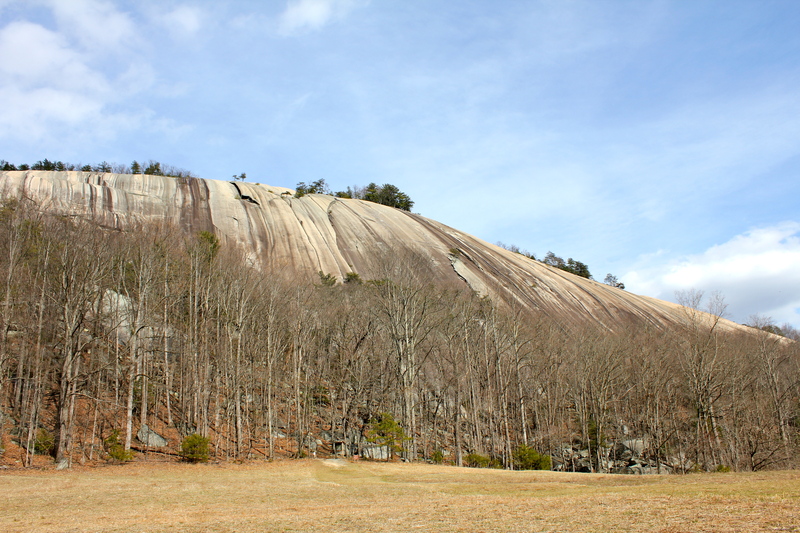 They are good to see once and can be done so by taking a one way spur trail that leads off the Stone Mountain Loop Trail about halfway between the Homestead and Stone Mountain Falls. 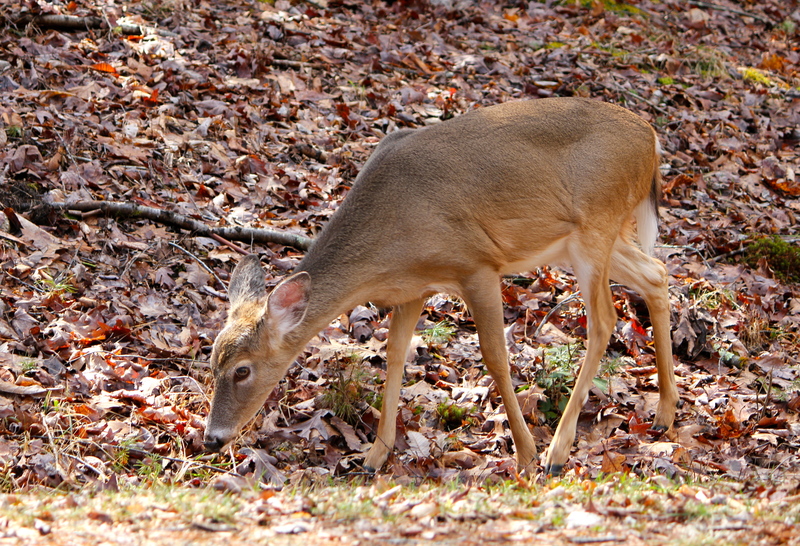 One of the treats I get to see most of the time when I come here is deer. For some reason, I see more here than any other place. It is rare that I do not see them. 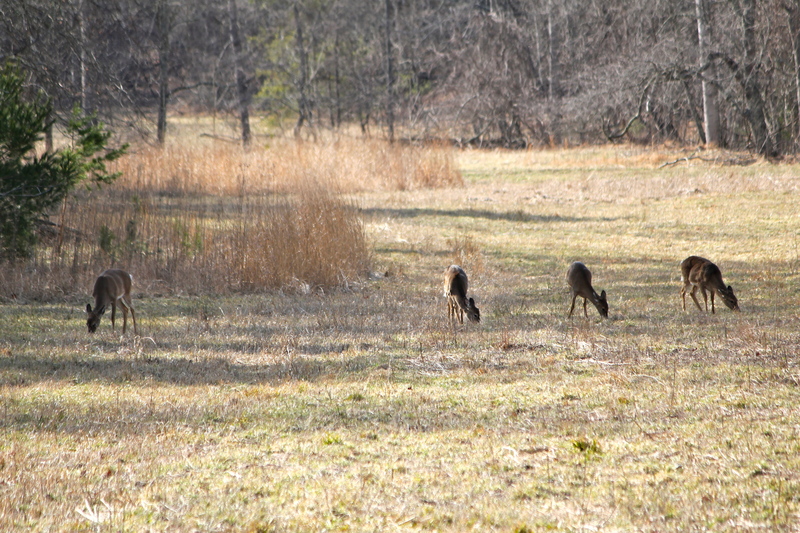 On this day, I was able to count 17 deer in 6 different locations. 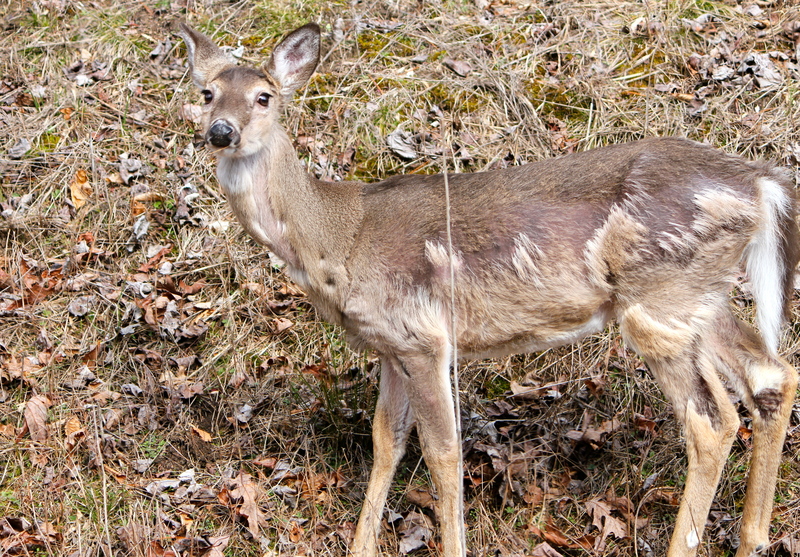 Usually, they are seen eating the grass along the roadways through the park, but I have been startled a few times on the trail. They tend to not fear humans much which could be a bad thing is they ever got tired of this area and left the protection that the state park offers them. Previous Previous post: Compression Falls – Short but Steeeep! !